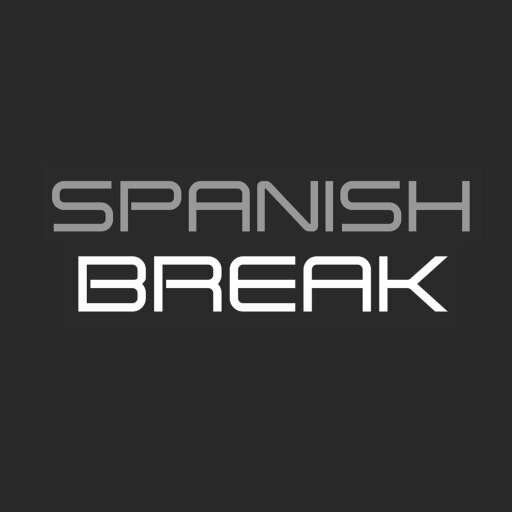 There are so many awesome things to do in Barcelona that it can be easy to get overwhelmed. That’s why we have put together a list of the 6 best things to do in Barcelona – you just have to do these! Let’s just jump straight into the action with a strong starter! 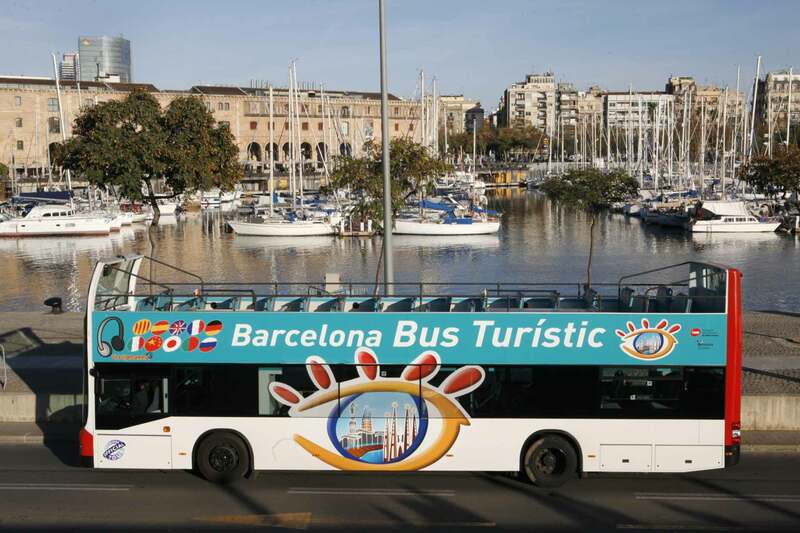 This bus tour is the perfect option if you are visiting Barcelona for the first time, or if you just want to see more of the city. This hop-on, hop-off ticket lets you get up close and personal with the city’s top spots. With 44 stops, by the time you finish the tour you will be a Barcelona pro! The 360° views from the bus give you a great way to orient yourself and map out the city in your head. A guide will explain all of the spots to you too. This is one of our favourite ways to introduce new people to the city. You can learn more about it on our website. 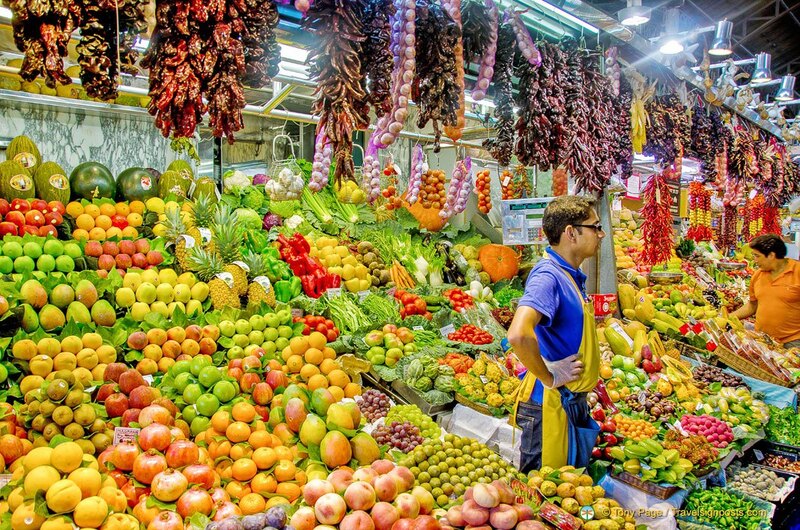 Despite being very crowded and busy these days, there are still so many reasons that La Boqueria is one of the first stops so many people make when they arrive in Barcelona. The local food, the smoothies, the ambiance and the people spring to mind first… Strolling through the crowded stalls, ice-cold smoothie in hand is a real pleasure. Check out this awesomely informative article from Regina Bryan for amazing tips. You can keep up with the latest news from La Boqueria on their Twitter. Be sure to check it out to find out about offers and special stalls! 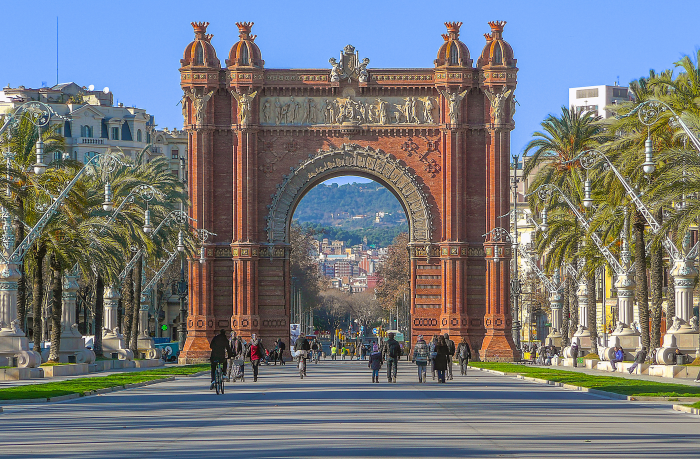 The Arc de Triomf/Parc de la Ciutadella is a great place to chill out for some sunny, chilled weekend vibes. There are countless street entertainers that congregate along the main walkway and you can have an amazing time checking out the different performances. There are regular events on around the park during the summer and you will have some unique experiences. The Passeig de Picasso is very close by too and has some great bars and restaurants to check out. 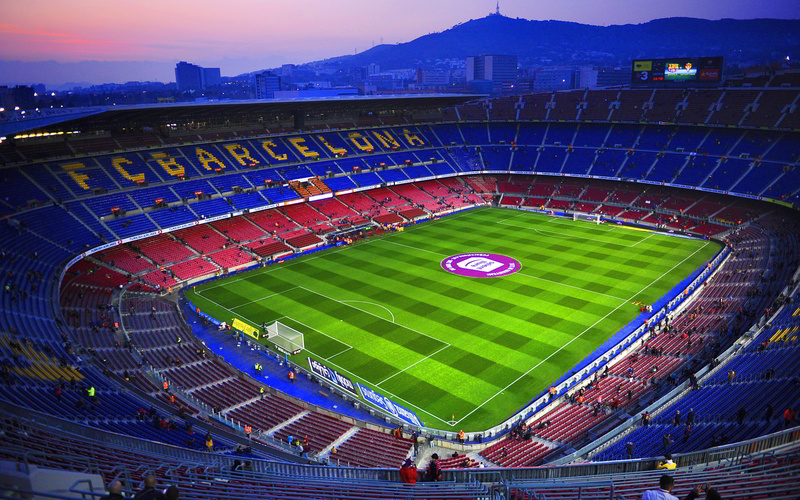 With the capacity to host 99,354 spectators, the gigantic Camp Nou is the largest stadium in Europe. From the very moment that the first boot touched the grass of the stadium in 1957, the magic hasn’t stopped being created at the Camp Nou. In 2015, Barça celebrated their 1,000th victory at the stadium with a 5-1 victory over Sevilla. When you visit Barcelona a trip to the Camp Nou is an absolute must. Whether you prefer the amazing tour or to catch a game and see Barça in action, we have you covered! When you were researching things to do in Barcelona, you will undoubtedly have heard of the Sagrada Familia. But there is another spectacular church within the city limits that deserves a visit. 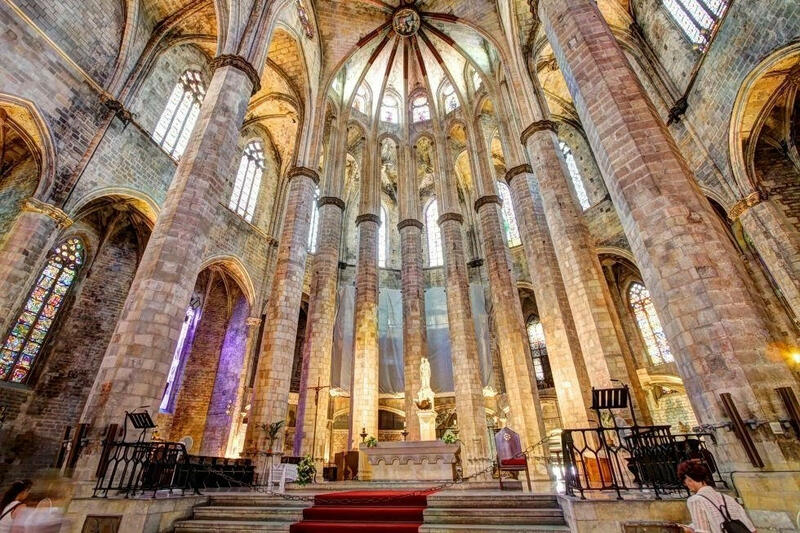 The Santa Maria del Mar church was built between 1329 and 1383, a time when Catalonia was enjoying monumental wealth due to maritime and trade activities. The exterior is a remarkable example of Catalan gothic, while the interior is unimaginably open and light. If you have a culture itch while in Barcelona, we recommend this church as either an alternative or in addition to the Sagrada Familia. Throughout the summer there are countless incredible things to do in Barcelona. Some of the activities at the top of everyone’s lists are usually related to the amazing summer festivals that the city hosts. This festival is hosted at the Parc del Fòrum, a complex of structures found on Barcelona’s coast on the edge of the city. Each year Primavera Sound attracts some of the world’s biggest artists and has become a mainstay in the list of Europe’s biggest festivals each year. 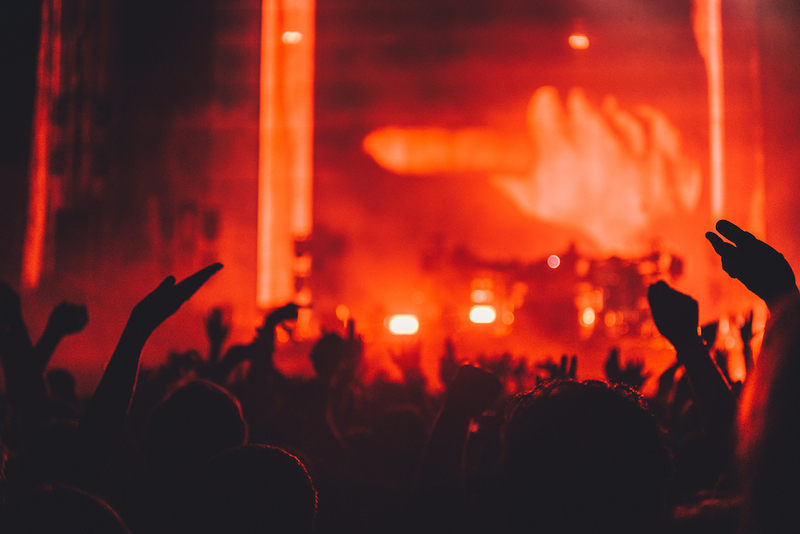 Sónar attracts some of the best electronic music artists from around the world. The festival always strikes a great balance between mainstream and lesser known acts. This festival also takes place at the Parc del Forum, which is great for feeling cool sea breezes as you dance the night away. Vida festival takes place in Vilanova and offers a cool blend of popular and smaller acts. This is a relatively smaller festival when compared to the others in this list and would make a great choice for any big music fans in your group. It’s a very cool experience! This festival also takes place at the Parc del Forum. It is a great space and this festival has a little more of a chilled family vibe when compared to Primavera Sound, but things still get crazier as the night goes on. This is a really fun option if you are coming in a fairly large group, so we definitely recommend checking it out. 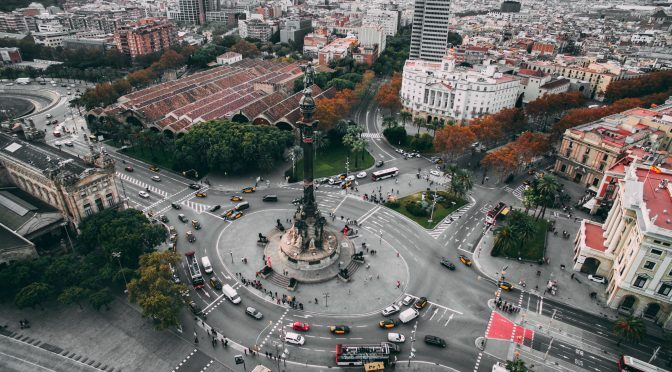 There you have it – six of the best things to do in Barcelona, in our opinion!